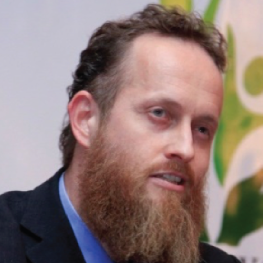 Dr Mohammed R. Kroessin is a development economist with over 15 years experience of working with Islamic development and financial institutions. He has formerly worked for Chambers of Commerce and the Centre for Enterprise in the UK, was Asst. CEO of Muslim Aid and is now heading Islamic Relief’s Global Islamic Microfinance Unit. He holds a Masters in international political economy (Kent) and a Masters in development management (Westminster Business School). He has completed his PhD at the University of Birmingham (UK) on the political economy of Islamic microfinance. He was also a research associate at the Bahrain Institute of Banking & Finance, at the University of Birmingham and a Visiting Research Fellow at Aston Business School. Mohammed currently serves on the board of two Islamic microfinance institutions in Bosnia and Kosovo and also has worked with Islamic financial institutions in Africa, Asia, the Middle East and Europe.